University printing and embroidery services designed around the needs of the Student or Faculty buyer. We have listened carefully to our University customers and provided you with a quicker route to the types of garments you might require. Remember that if you do not see what you are looking for here, you just need to ask one of our Sales Advisors who can help you find what you need. Shirtworks has been working in the University and College clothing sector for 25 years and has many of your collegiate crests and logos on file. Your college clothing requirements are just one click away and whether you are looking for Fair Trade, WRAP/GOTS certified clothing or just require the best value garments to fit your budget, we have the best possible solution. Our commitment to ensuring the best service with the best value is backed by our ‘garments at cost price’ policy. 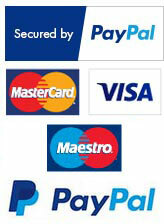 This means that you pay the lowest ‘trade’ prices possible for your student or University administration clothing.